Google My Business is NOT just for businesses. Google My Business is Google’s system for local search results and Google Maps search results for all local organizations – churches, schools, nonprofits and local businesses. 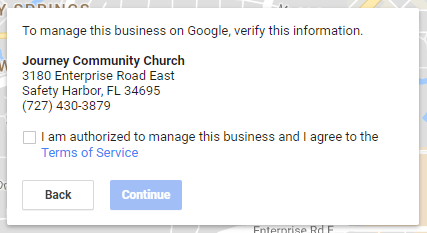 If you want people to find your local organization in Google Maps, you need a Google My Business listing. If you want people to post online reviews about your organization to Google, you need a Google My Business listing. If you want to be able to control the information people see about your organization in Google Maps and Google’s local search results, you need access to your organization’s Google My Business listing. Local organizations need a Google My Business listing, and they need verified access to its content. Login to your Google account or create one. If, while you’re typing the name of your organization into Google My Business, you see your organization listed as a suggestion below the box in which you’re typing, this means Google already has a listing containing information about your organization. Click it and the rest of form information will be filled in instantly. Click “Continue” at the bottom when you’ve completed the form. Check the “I am authorized…” box and click the “Continue” button. Select the option that is most convenient for you. If you have access to the phone or email address shown, you will be able to complete the verification process immediately. Note, the phone and email verification codes typically expire in less an hour or less, while the verification code that is mailed on a postcard expires in 30 days. If you select the phone, text or email option, you should receive the verification code right away and be able to type it into the next screen. 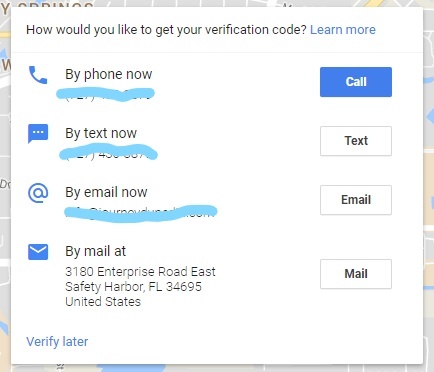 If you select the mail option, when you receive the postcard, return to https://google.com/business/, click the “Verify Location” link on the left and type in the verification code. This will complete the verification process and you will be able to update your organization’s information, add photos and much more. If you have access to the email address used to verify the listing, simply login to that Google account to manage the listing. If you don’t have access to the email address used to verify the listing but you recognize it, click the “Request ownership” button. This will send an email notification to the owner of the listing asking them to grant ownership to you. You may need to call the person to let them know what you’re doing and ask them to respond to the ownership request. 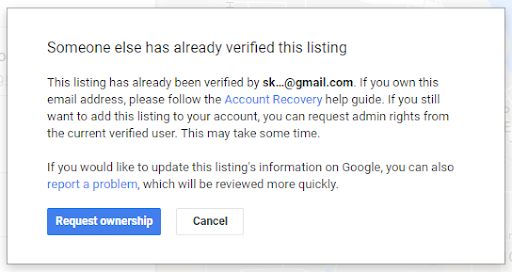 If you don’t have access to the email address used to verify the listing and you either don’t know who it belongs to or the person has died or left the organization, you will need to contact Google My Business support. 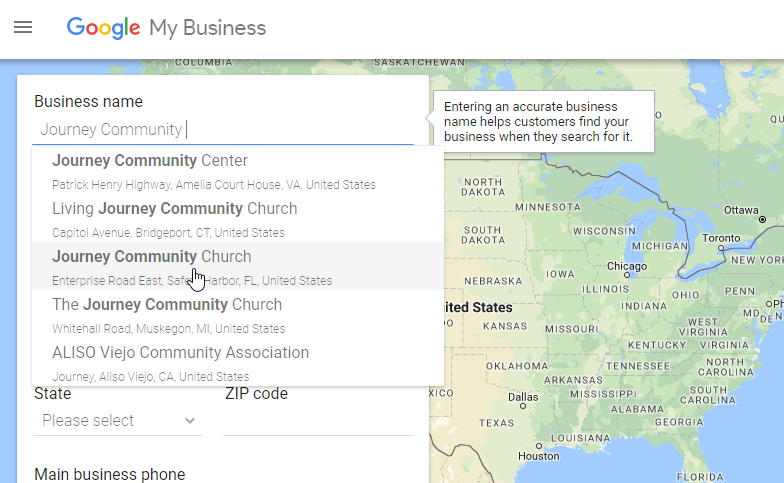 Creating, claiming and verifying your Google My Business listing is just one component of our church SEO service and local business SEO service. If you’re super-busy and want someone who knows what they’re doing to take care of this for you, click and request a free phone consultation. Have you created, claimed and verified your organization’s Google My Business listing? If yes, what was the process like for you? If no, what’s preventing you from doing that?